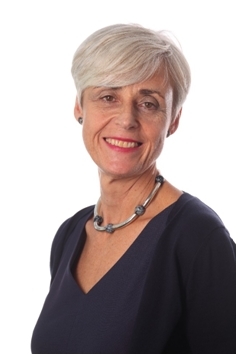 Professor Maggie Snowling is President of St. John’s College at the University of Oxford. Most people view spoken language as a given and written language as something which requires teaching. It follows from this view that dyslexia (a disorder of written language) is separate from developmental language disorder (DLD), a disorder that affects language acquisition. But are these two fairly common childhood disorders really separate? Is one an earlier version of the other? Is one a more severe version of the other? Do they co-occur? These are questions which researchers in the field of communication disorders have grappled with, and the answers are more than ever, relevant for clinical practice. According to the classification system used in clinical circles (DSM5), language disorder and dyslexia are both ‘neurodevelopmental disorders’ meaning that they are likely to be heritable, emerge early in development and persist across the life-span. It is therefore important to provide intervention, which will reduce their impact – it isn’t the case that children will ‘grow out’ of them. A major obstacle, however, is a lack of agreement as to how to identify and remediate these problems, not least because of confusion over definitions and terminology. First, neither disorder is a ‘category’; rather these are dimensional disorders, ranging from mild to severe with no clear cut-off between ‘typical’ and ‘impaired’ in either language or reading. Moreover, while ‘diagnosis’ used to depend upon there being a discrepancy between IQ and level of attainment, there is a lack of evidence for the relevance of such exclusionary criteria and hence, they are no longer used. 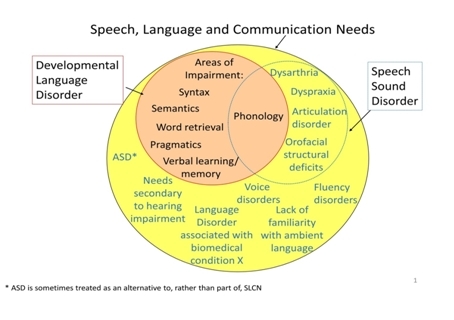 Furthermore, labels abound: in DSM5, the term language disorder is used to refer to children who have very often been labelled as having ‘specific language impairment’. However, a consensus among professionals proposes that the term ‘Developmental Language Disorder’ better captures the nature and characteristics of this problem (https://doi.org/10.7287/peerj.preprints.2484v1). 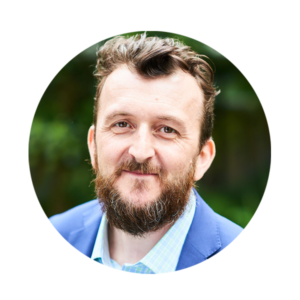 Dyslexia, on the other hand, is considered one of the subtypes of specific learning disorder in DSM5 – arguably a classification, which satisfies those who still debate the term, but not those who suffer. And regrettably, still others continue to regard dyslexia as a myth! In 2004, Dorothy Bishop and I published a paper which proposed that in order to understand the relationship between dyslexia and what at the time was referred to as SLI (‘specific language impairment’, now DLD, ‘developmental language disorder’), it was important to consider two aspects of spoken language. 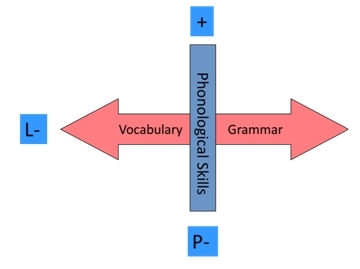 First, phonological language skills, as measured by tasks such as nonword repetition. The core of learning to read is phonology and children with dyslexia and most children with DLD have phonological difficulties. Second, broader oral language skills, including vocabulary and grammar, which are components of reading comprehension. This model has been tested by several researchers. Although it was known at the time, we did not stress enough the importance of timing. Many studies now agree that an important indicator of how well children will read is the status of their oral language system at the point at which reading instruction begins (around age 4-5 years). 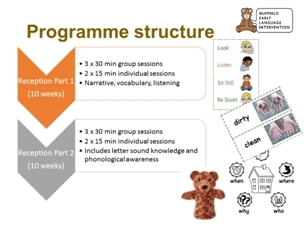 So, if a child has been slow to speak and language milestones are delayed, a key issue is whether they still have language problems when they enter school or whether these have resolved. For children with persistent language difficulties, reading problems are highly likely to ensue. But also among these children is a group who can learn to decode print but have significant problems in understanding what they read. These children, called ‘poor comprehenders’ are vulnerable to failure because their reading problems go unnoticed and they often have very good memory skills which can mask the extent of their difficulties. 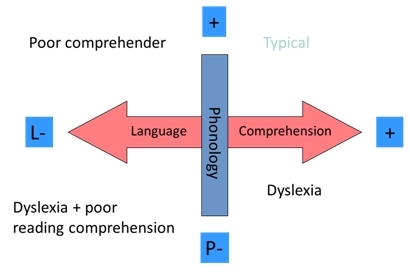 In the model below, children with DLD are on the left of the figure – some have dyslexia, some do not, but all have reading comprehension problems. A critical issue for researchers is how, at an early stage, to differentiate between children at risk of DLD whose language difficulties are likely to persist. Also, it is also important to be able to identify early, those who are vulnerable to dyslexia and those who will learn to decode well. But there is no room for complacency. Even when reading gets off to a good start, children can succumb to dyslexia at a later stage, and many children with DLD cannot read for meaning. There is still a way to go before these developmental pathways are understood; however findings from our longitudinal studies suggest that, among children with preschool language difficulties, those whose problems persist have more severe difficulties, and also additional co-occurring problems, for example in attention and motor skills. 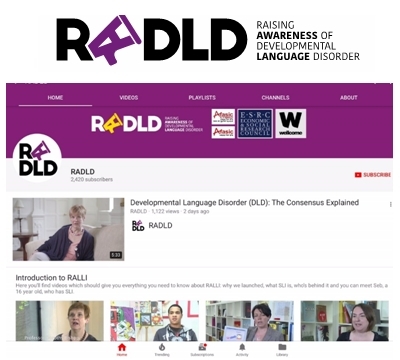 The RADLD YouTube channel contains videos that explain what DLD is, the impact it can have and how to get help. Maximizing children’s potential in the Early Years is a government priority yet policy makers have been slow to emphasize the importance of oral language as a springboard for learning. It is nonetheless crucial for clinicians to be monitoring the progress over time of a child who presents with poor language in the preschool years. Interventions in the Early Years should maximize the possibility of strengthening the oral foundations for literacy – not just reading readiness but also vocabulary and narrative skills. On the other hand, teachers and practitioners who work with children with dyslexia should recognize it is a language learning disorder and ensure language skills beyond phonology are considered both in assessment and intervention. The author is describing research which she has conducted or been involved with but has aimed to provide a consensus based on the wider literature in the field. The author is a co-author of the Nuffield Early Language Intervention Programme but has no financial interest in its publication. The Wellcome Language and Reading Project was funded by the Wellcome Trust (Grant number WT082032MA). Thank you for this information – we have been discussing and debating this issue for months now, and at times we feel we are making little or no progress! The confusing thing for us (a private practice in Perth, Western Australia that works almost exclusively with children who have Specific Learning Disability) is this aspect of the DSM 5 definition of SLD, “The learning difficulties are ‘unexpected’ in that other aspects of development seem to be fine. Early signs of learning difficulties may appear in the preschool years (e.g., difficulty learning phoneme: grapheme relationships), but they can only be diagnosed reliably after starting formal education.” We have many children at the clinic who presented with DLD as youngsters, but now have Core Language Scores (CELF) in the average range……can these children receive the SLD diagnosis, when the thinking here is that DLD “trumps” SLD??? We also have older students who have persistent DLD and this is their primary diagnosis – they are not being given an SLD diagnosis and therefore cannot have additional time in final examinations because DLD is not recognised as a condition that receives additional time!!! Educational Psychs here still adhere to the need to put all kids through a WISC however all kids do not receive a language assessment! I know this sounds like a complex comment – but I would really really appreciate your comments – eternally grateful!!! I’ll see if our social media network can help, are you on twitter? If so follow us DM and we’ll through it to the Hive. We have a similar situation here in Canada. I am finding many children with DLD are only being assessed by the Ed Psych. The Psych will diagnose a SLD based on reading/ and or writing. I feel this is misleading, as it doesn’t address the underlying cause of the reading/writing difficulties (often language difficulties). Many of these children should have a dual diagnosis of DLD and SLD, otherwise the language peice gets missed, or is not emphasized! Need an SLP to do the comprehensive language testing! I just love this article! THis comment: Interventions in the Early Years should maximize the possibility of strengthening the oral foundations for literacy – not just reading readiness but also vocabulary and narrative skills, is so important and often lost or forgotten when teaching! Thank you! You might be interested in our Special Issue of JCPP, it is FREE to access until the end of October 2017. Details here. This is the most comprehensive summary of the link between Dyslexia and DLD I have found – thank you!! Much appreciated. You might be interested in our Special Issue of JCPP which is FREE until the end of October 2017. Details here. This is a very helpful summary, many thanks. very useful essay on dyslexia. we have lot of new information to read and develop our knowledge. The relationship between dyslexia and developmental language disorder is clearly mentioned. please we expect more articles from you on this topic. thank you very much. This is a really helpful article! Thank you! As a SpLD Assessor, it can be so tricky to tease apart dyslexia and DLD in a learner’s profile. Is it still possible to get a link to the Special Issue you mentioned? I would love to be able to read more. Thank you!